Trevor got his Technician license in 2011 mainly to use 1.3 Ghz to transmit video and telemetry data from scratch built drone planes. He would fly the drones by video transmitted from the plane to his ground station. Later he became involved in emergency communications in his community and was introduced to BBHN and mesh networking. He was intrigued with this since we had started a wireless ISP in Rexburg, ID in 2003 using 802.11 radios. 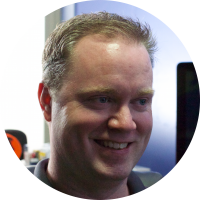 Trevor has 15+ years in embedded systems development and network programming. He came across the AREDN project when looking for a way to use Ubiquiti 3 Ghz radios on the local mesh network. At the time the 2.4 Ghz mesh was having major problems with interference from wifi devices on channel 1. Being a long consumer of open source he was excited to find a project he was passionate about and find a team he could join to give back to the open source community. He is an entrepreneur by day currently working on his 8th company since starting his first dial up ISP in his parents basement when he was 15. He likes to play with anything that uses electricity and loves spending time with his wife and 3 children.